The New South Wales (NSW) government is set to introduce the new online gambling tax in next week’s state budget. 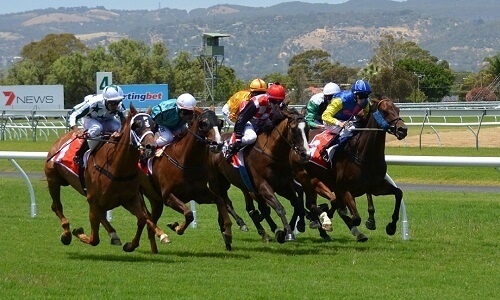 The new point of consumption tax (POCT) levy set at 10% is targeted at online betting punters in the New South Wales territory. The figure is slightly higher than the one (8%) that the Victorian government plans to enact into law following their budget address last month. Having said that, it is also noticeably lower than the tax percentage set by other Australian territories (15%). The 10% gambling tax that will be levied on all online wagers is reported to generate approximately AU$100 million a year for the NSW government. The New South Wales Treasurer Dominic Perrottet explained how they reached the gambling tax figure. “Following an extensive consultation period with stakeholders, this decision will resolve the disconnect between the jurisdiction where gambling activity occurs and where it is taxed,” he explained. In expectation of backlash for setting the point of consumption tax at 10%, the NSW treasure was quick to defend the decision. “We think 10% strikes the right balance and that online corporate bookmakers should contribute their fair share, defended Perrottet. According to Perrottet, about 2 per cent of the revenue generated from the gambling tax will be set aside for the racing industry. The gambling tax will largely impact online bookmakers such as Sportsbet and Ladbrokes. The New South Wales announcement regarding the point of consumption tax follows recent reports of other Australian territories intention to enact new gambling tax into law. The Victorian government set their tax at eight per cent while in Queensland and South Australia, 15 per cent gambling tax was proposed. The remaining states, Western Australia and Tasmania are expected to announce their gambling tax figures in the coming months. The point-of-consumption tax in New South Wales will take effect from January 1, 2019.